Join us for the seventh annual Mass for Artists, Monday, May 21, at 7:00 PM. 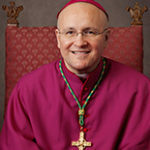 The Most Reverend Bishop James Massa, Auxiliary Bishop of the Diocese of Brooklyn, will offer the Mass (Ordinary Form) at the beautiful Church of the Blessed Sacrament on West 71st St. (just east of Broadway). 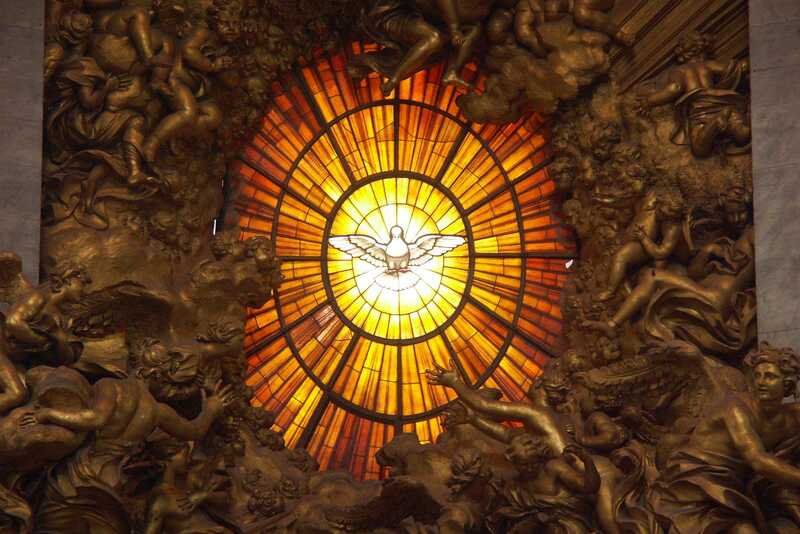 The Catholic Artists Society sponsors this Mass each year to invoke God’s blessings on all artists, that their hearts might be cleansed and their minds enlightened by the inpouring of the Holy Spirit. It will be beautiful. A reception will follow. Bring a friend! The Most Reverend James Massa was born in Jersey City, New Jersey. He attended Boston College and graduated with a Bachelor’s in Theology and History in 1982. In 1985, he earned a Master’s of Divinity Degree from Yale University, and in 1997, a Ph.D. in Systematic Theology from Fordham University, where he wrote his dissertation under the late Cardinal Avery Dulles. The late Bishop Francis J. Mugavero ordained Father Massa a priest of the Diocese of Brooklyn on October 25, 1986. His first assignment was as a Parochial Vicar at Our Lady Queen of Martyrs in the Forest Hills section of Queens (1986-1990). He went on to serve as Campus Minister at Queens College (1990-1993) and in a number of positions at seminaries and universities as an Associate Professor of Theology. In 2005, he was appointed the Executive Director of the United States Conference of Catholic Bishop’s Secretariat for Ecumenical and Interreligious Dialogue. In 2008, he was appointed by Pope Benedict XVI a Consultor to the Pontifical Council for Interreligious Dialogue and a Member of the Joint Working Group between the Holy See and the World Council of Churches. Father Massa returned to the Diocese of Brooklyn in 2011. In 2012, he was appointed Associate Professor of Dogmatic Theology and Director of Assessment and Accreditation at Saint Joseph’s Seminary, Dunwoodie. He was appointed Titular Bishop of Bardstown and Auxiliary Bishop of Brooklyn on May 19, 2015 by Pope Francis. And he received his episcopal consecration on July 20, 2015. The lecture takes place Saturday, April 28, 7:30 PM, at the Catholic Center at New York University (238 Thompson St., just south of Washington Square Park). A reception and sung Compline will follow. RSVP by clicking below. Reservations will be kept until 7:20 PM. Join us. Meet old friends. Make new friends. For more than a century, the Church has repeatedly insisted on the importance of cultivating active participation in the liturgy. In practice, some modes of advancing this goal leave little room for a “contemplative” mode of participation. In this talk, Fr. Innocent will describe the need for both active and contemplative participation, focusing on the realm of music in the liturgy. Through a careful balance of vocal and auditory participation, members of the Church can more effectively join their minds as well as their voices to the Heavenly Liturgy. Fr. Innocent Smith, O.P., is a Dominican Friar of the Province of St. Joseph. Born in California and raised in Indiana, he attend St. Gregory’s Academy and the University of Notre Dame before entering the Order of Preachers in 2008. He received an S.T.L. in 2015 at the Dominican House of Studies in Washington, D.C., writing a thesis on the liturgical theology of Thomas Aquinas. 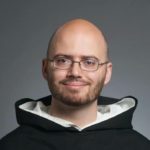 At present he is assigned to the Priory of St. Vincent Ferrer in New York City, where he serves as parochial vicar at the Parish of St. Vincent Ferrer and St. Catherine of Siena.